My daughter was destined for the water. Bath time has always been her favorite time. She has never met a puddle she doesn’t like. 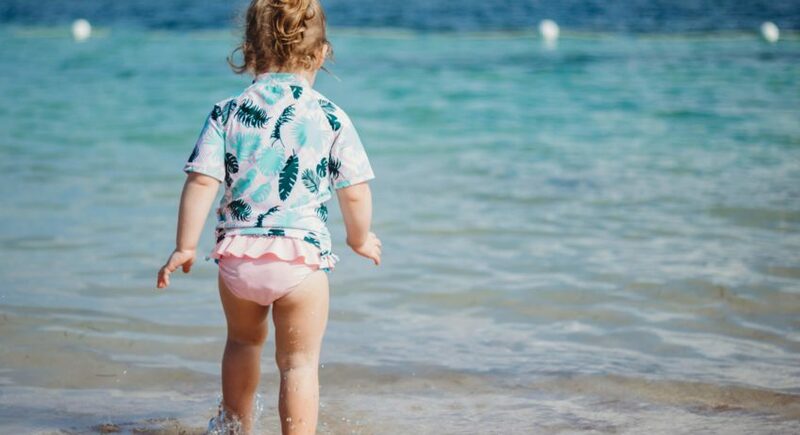 And all summer long you can find her splashing in our pool, which led me on a search for the best swimwear that would provide protection during all of this fun in the sun. I found everything I was looking for (and more) with SwimZip swimwear. 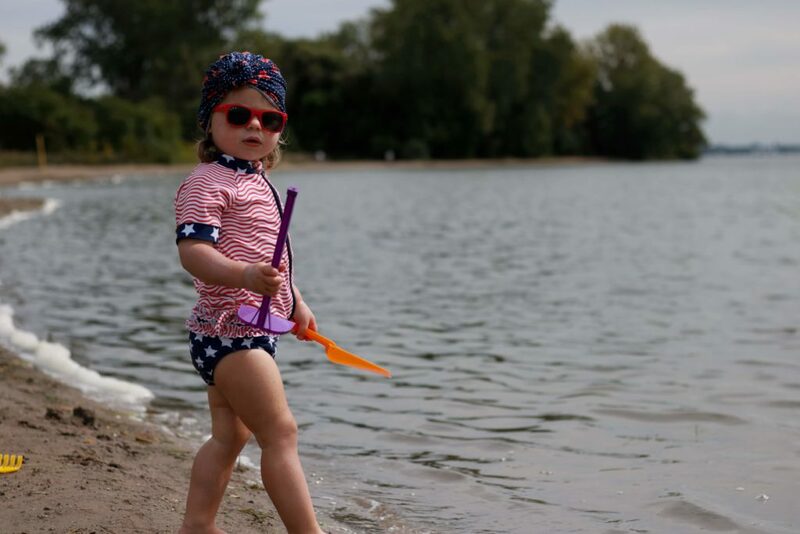 I purchased our first SwimZip suit before my daughter’s second summer. She enjoyed the water so much as a baby I had a feeling we’d be spending a lot of time in the pool that year. Since the Fourth of July is a pretty big deal in our neighborhood (our front yard offers the best view of the town’s annual fireworks display), I opted for the ‘4th of July Fun’ Rash Guard Set for her. And I’ve been hooked ever since. Where does the name SwimZip come from? 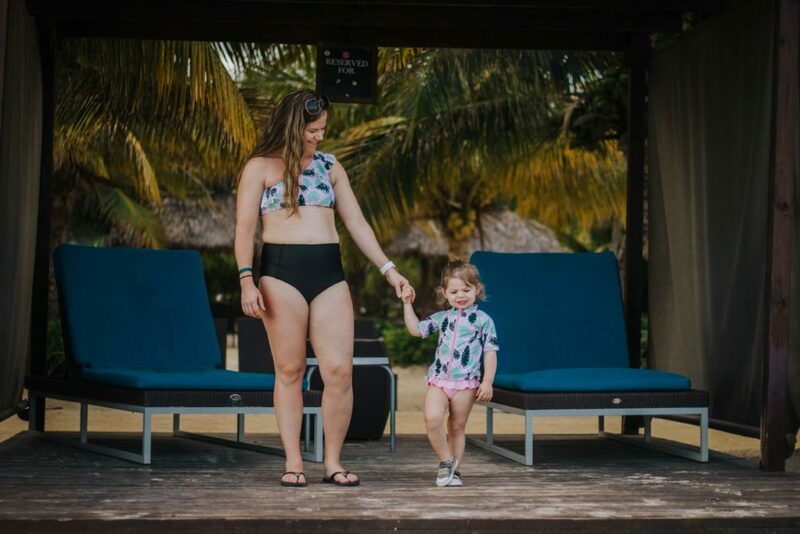 SwimZip offers a unique feature that can’t be found with most other swimwear brands – the rash guard shirts have a full-length zipper, so they can be removed easily. And it’s not limited to just the kids’ sizes either. Betsy was really looking out for all of us when she created these swim shirts. As a mom, this has to be my favorite feature, other than the whole protecting my kid from the sun thing. Have you ever tried to get a wet swimsuit up and over the head of a wiggly toddler? I’d be happy to let you try firsthand. Fair warning, my daughter puts up a good fight. 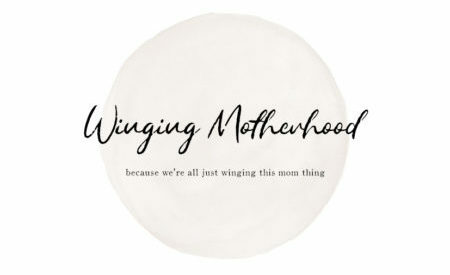 I’ll admit, before I had children I was not a fan of ‘twinning with my mini’. 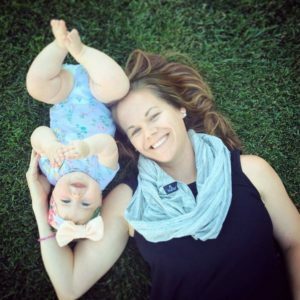 It was something I definitely wasn’t going to do after I had my daughter. Just another one of those lies I told myself before I had kids, you know, back when I was a perfect parent. When SwimZip offered to send matching suits for my daughter and I for our recent trip to Jamaica, I could barely contain my excitement. We rocked those matching suits 😉 I can’t even count the number of compliments I received (and it’s not because I was rocking a hot beach body…I assure you, I was not, definitely not at 22 weeks pregnant). With fun prints, matching suits, reasonable prices and superior UV protection there is so much to love about SwimZip. And the quality is remarkable – my daughter’s first suit still looks new even after being worn several times a week all summer long. You just don’t get that with other swimwear brands. 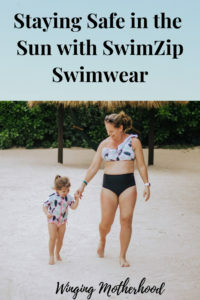 And, for my fellow Amazon Prime moms, you can find SwimZip on Amazon, too – check out all of the available styles here! My family will be a SwimZip family for life! The matching suits were provided for free in exchange for this blog post and review. All opinions are my own. It’s really important to protect your skin in the sun, especially when you’re a tiny human. These are good. I cannot wait until the weather warms up. I love how stylish they are! I will have to check them out for my little one. Thank you! I’m getting away with it as long as I can (until she is old enough to protest)! I dress my baby daughter in a long sleeved zip up onesie! I only wish they made an adult version as I have so much skin damage from lifeguarding at a younger age! That’s why I love SwimZip. They DO make long sleeve rash guards for women (and men).